← Is A Penny Saved A Penny Earned? Understand Your Chances – Before even asking your boss for that raise, you have to bear in mind what are your chances in actually getting one. The difficulty of this is that since you’ve already had a previous salary agreement, your boss assumes you’re satisfied with your current salary. In general, getting a pay raise can be difficult to achieve unless you have some form of leverage. This leverage can be either having another job offer or doing more than your job description consistently. Be assertive – Although it may be difficult to get a pay raise, it’s important not to psych yourself out. Most people, especially women, are afraid to ask for a raise because they might appear too demanding or pushy. All you need to do is approach your boss while being assertive (not aggressive! ), and presenting why you are deserving of a raise. The worst that can happen is that your boss can refuse, and you still end up having the same salary as you used to. On the other hand, your boss just might agree, helping you earn extra money you otherwise would not have. Know Company Policy – Asking for a raise can also be a form of negotiation. In negotiating, it’s always important to prepare. 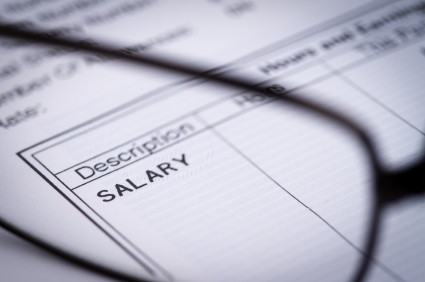 One way you can prepare yourself is by familiarizing your company’s policies regarding salary determination. Perhaps annual performance reviews are required. Or someone else is assigned to make decisions. Knowing this information can give you the upper hand when negotiating with your boss. Show Them What You’re Worth – It’s not enough to go straight to your boss and enumerate the things that you’ve done for the company. You have to be objective about showing your boss what you’re worth. You can do this by finding out how much others are being paid at the same position as yours in the same industry. Know what these people are doing, and assess if you are doing more. Take into account your job description, responsibilities, years of experience and service, and education. This tactic is used to show your boss how invaluable you are to the company, but this should not be the primary reason why you want a pay raise. Prepare Your Case – This is where you go deeper into the contributions that you’ve made for the company. One of the most effective things you can do is by showing your employer how business operations and profits have risen due to your efforts. If you can show them that you’re doing more than what is expected of you, it should be difficult for them to turn you down. Aside from raising profits, you can also demonstrate how well you handle your team. Be Patient But Persistent – There’s a saying that goes “Patient persuasion can break down the strongest resistance”. Even if your boss says no initially, your desire to get a raise is already out in the open. This can get your boss concerned about the chances that you might look elsewhere for better work. Ask again for the raise again within a few months time. So, have you successfully gotten a raise that you asked for? What tactics did you use? Honestly, all of these are practical considerations before going for a raise. I think arming yourself with knowledge (of your performance, industry standards regarding salary and responsibility for your position, the salary of others in your company where applicable) is absolutely key. Also, don’t take it personally. This is business. Great point! never take it personal. As a young teacher I get a nice little 3-4% every year. I’m happy to take this low-maintenance bump. Why do you think men are generally so much more likely to ask for raises? I seen the stat somewhere a while ago, and men were something like 300% more likely to ask for a raise, and even had a slightly higher rate of success, even with all this extra asking. I think men are more likely to ask for a raise because I believe in general men are probably more aggressive. You’ll also have better chances of success if you complete a big project and ask for a raise right after. Make it hard for the management to say no! Kill them with efficiency! The best advice I ever got was to make yourself invaluable to the company. Think of yourself as a subcontractor. How long would you stay in business if you did not evolve and learn new marketable skills? It is no different because your employer views you as a subcontractor! Being prepared with real examples of your value is a huge asset when looking for a raise. As some job experts have said, the hardest part is asking. Some bosses will give you a raise just because you pointed out that you deserve it. I’m not sure why people just don’t ask all the time. The worst answer you can get is No. If you get a no at least you know! As a teacher, I do not have a chance for a raise, however I do have opportunities for increasing my income. When negotiating for raises, it is a good idea to point out your accomplishments. It obviously shows your relative worth! I agree.. you always must have evidence of why you deserve a raise. I echo Erics sentiment. Just ask the question, and you are ahead of the pack. It’s funny, my wife is employed by the Navy where people ask for more responsibility first and expect the promotions to follow. I was trying to point out the difference in thinking with those that serve. It’s not all about the money for many people. Being paid a fair wage, but knowing that you are providing an invaluable public service is a higher calling. My only chance for a samary increase is to get promoted. To get promoted I need a Nobel – targeting the peace one although the one in lioterature is not out of the question. Who said women don’t ask? I didn’t say women didn’t ask lol.. what profession are you in that requires a Nobel peace price for a promotion? I am an academic a step away from full professorship. My university have gone mad – the Nobel is serious. Kostya Novoselov – Nobel winner for physics – was a lowly research fellow on soft funding. He got the Nobel, he was professor over night. It helps to know where you stand market wise as well. Not to show the data, but to know whether your expectations are reasonable. And the “show them you are valuable” is very very important. If you have been taking on extra responsibility or stepped up during a deadline, it makes it even more easier and you should prepare a report ofall the accomplishment before starting the talk. Great point Suba! Always go into the meeting prepared to defend your value and any objections to your perceived value. Bottom line is that you have to be an asset to your company. I say this because not anyone can ask for a raise. Your company has to value you and in order for them to value your service, you must excel at what you do. Having said all this, if you really think you need a raise, it does not hurt to ask. The worst they can do is say no. I’m a fan of asking for a raise every year anyway. I rather leave no stone unturned. It goes without saying that you should do your job and do it well in my mind. Besides being an asset to the company, its very important to know what a particular role pays in the real world.I find that people often interchange tenure for an automatic raise. I have had to deal with some colleagues who have completely unrealistic expectations when it comes to that. Start ups, for examples, have a completely different policies on raises than larger established companies, and even though you might have the same title, the start-up world doesn’t come close to paying what market value for your role be. Excellent points, I think number 4,5 can have the biggest impact. When you back your request with numbers to show what you’ve done it helps you sell your case and show credibility. Great post! Nice article YFS! My company has a ton of old people in it, and within the next 10 years there should be a ton of high-level positions opening up. If I just keep taking on some extra projects here and there, I should be a shoe-in for a move up the ladder (and naturally, a pay increase as well). Hhaha at your line about “a ton of old people” hey man with today’s modern science everyone is living until 120 right? You may be SOL if a few of the old guys/gals don’t retire. I like your plan of taking on extra projects to prove your value. Just make sure the people who have the power notice your hard work. Don’t assume they know your are doing extra projects. Bring it to their attention every year.